Toyota and Honda have been battling for the hearts and minds of shoppers since both vehicles started operations in Canada. The top two vehicles from each automaker, the Toyota Camry that is available at Attrell Toyota and the Honda Civic represent some of the best work each company has to offer customers. 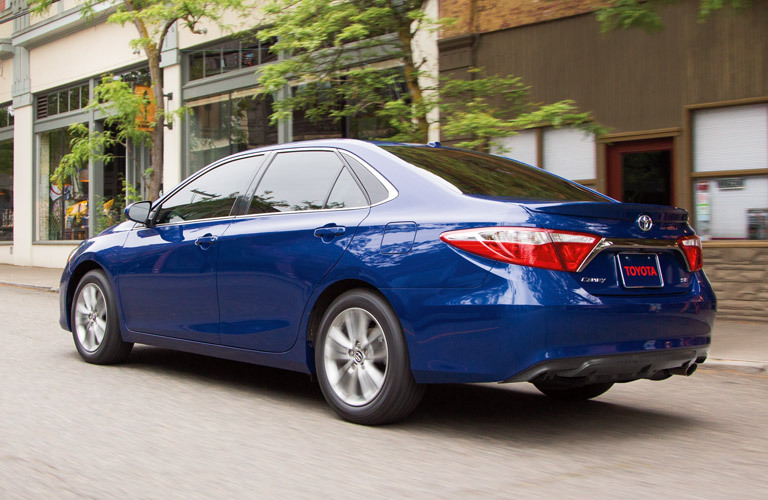 Comparing the 2015 Toyota Camry vs. 2015 Honda Civic is a very interesting exercise. This is mostly due to the fact that the two vehicles occupy different segments of the global automotive community. The 2015 Camry is larger and would be considered one of the finest examples of a midsize sedan currently available and the 2015 Civic is a highly regarded compact sedan. Choosing between the 2015 Toyota Camry vs. 2015 Honda Civic would depend on the needs of the individual driver. Just by the nature of each car’s individual design features, the 2015 Camry is going to offer more room for passengers as well as cargo. These dimensions have been enhanced by the radical redesign for the current model year. Moreover, the 2015 Camry has a more athletic stance on the road and should quicken the pulse of the most discerning of drivers. By contrast, the 2015 Honda Civic remains largely unchanged from the previous model-year. Simply being a larger car is not the only difference shown between the 2015 Toyota Camry vs. 2015 Honda Civic. The 2.5-liter, four-cylinder engine of the 2015 Camry offers significantly more power than the 1.8-liter, four-cylinder engine on the 2015 Civic. Additionally, the 2015 Toyota Camry can be outfitted with a V-6 engine that will push the peak output of the vehicle to 268 horsepower with 248 pound-feet of torque. Also, these larger engines will give the 2015 Camry quicker acceleration, measured from zero-to-60 mph, than what the 2015 Civic is capable of offering. Looking at the cabin layouts of the 2015 Toyota Camry and the 2015 Honda Civic, both vehicles take full advantage of the space offered to them. Taller drivers approaching the six-foot barrier and beyond will want to give the new Camry a closer look over the new Civic. It’s not that the Civic can’t be driven by taller drivers it would just be easier, given the larger dimensions of the 2015 Toyota Camry. In terms of handling, there really is no losing in choosing the 2015 Camry or the 2015 Civic. But those customers looking to get the most handling and performance as well as all of the benefits of the ToyotaCare Program will want to opt for the Camry XSE with the V-6 engine and suspension that has more a sport-tuned flavor to it.